manicstreetpreacher applauds the world’s greatest atheist Christian. This will be a quickie, I promise. 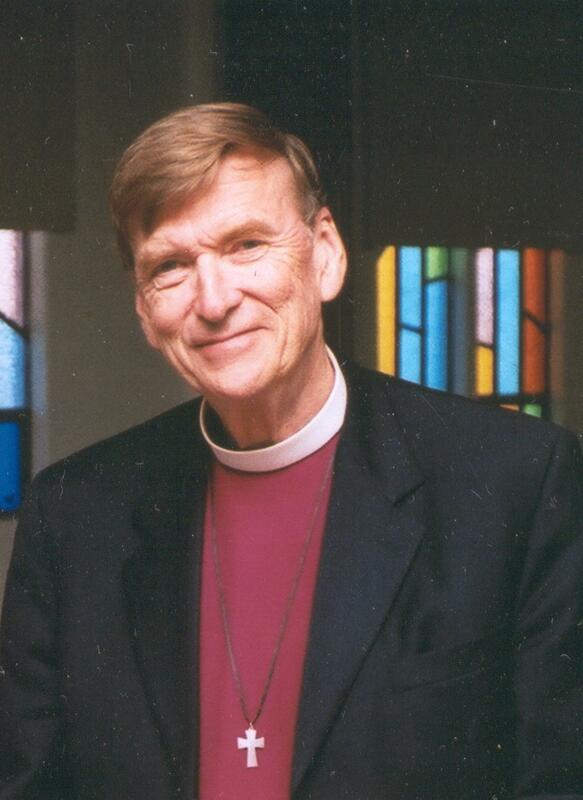 I first listened to Bishop John Shelby “Jack” Spong on Premier Christian Radio’s Unbelievable? at the end of last year. He was a breath of fresh air, a joy to hear. If only all believers were like him. And since he upset Scottish Presbyterian Calvinist (!) pastor and author of The Dawkins Letters, David Robertson, when DJ Justin Brierley read out the listeners’ reactions on a subsequent show, he must be doing something right. Spong’s Palm Sunday 2005 debate on the resurrection of Jesus against Christian apologist, William Lane Craig, is well worth watching or hearing. Not in the sense that Spong “wins” the debate against Craig. But because he rises above Craig’s petty attempts to rationalise his fairy tale and explains the philosophy of being an atheist Christian. Although credit is very much due for exposing Craig’s dishonest reliance on authorities who are in fact at opposite ends of New Testament scholarship spectrum, the real treat is Spong recounting a story from his friend, the late, great astronomer, Carl Sagan, who pointed out that if Jesus left the Earth at the speed of light on his ascension to heaven, 2,000 years later he still would not have left our Milky Way galaxy! I’ll leave it there. Just download and enjoy. This entry was posted on 27/03/2010 at 23:43 and is filed under christianity, Religion. You can follow any responses to this entry through the RSS 2.0 feed. You can leave a response, or trackback from your own site. You’re right. That story is hilarious. I’ll definitely be using it when I talk to people about Spong. To think that a person such as Spong would take something so idiotically literally is too funny for words. Seriously, it almost brought tears to my eyes. I certainly agree you know a lot about idiocy. Comes from arguing a lot with religious people. Spong’s views are incoherent. The anecdote from Sagan does nothing to refute the Ascension as Christians already believed that the universe was extermely vast. This is stupid. You speak as if these scientists have determined the actual distance of heaven from earth. The milky way? Really? How can one claim to be a Christian who does not believe in Christ as the Incarnate Son of God. This is the very definition of Christianity. I would have more respect for Dr Spong if he just admitted he was an atheist and stop hiding behind the ‘guise’ of Christianity.Of course he could then no longer call himself Bishop. Why would one want to possess a title which represents a religion one is opposed to. Why in each generation are there those who believe they have all the answers. I predict that after this generation passes, a generation will rise which will again hunger for a righteous omnipotent God who sent His Son out of love. This is unlike the violent world we see ourselves surrounded by. Why not attack those faiths, rather than one which commands us to love one another, Jews, Hindus, Muslims and Christians alike.